Today we launch Luminate, a global philanthropic organisation designed to empower people and institutions to build just and fair societies. Around the world, we’re seeing the pillars of a strong society – including press freedom, transparency and accountability, freedom of expression, and democracy – come under sustained attack. New threats to social progress are emerging rapidly, in many cases scaling at an unprecedented rate through the misuse of technology, most notably social media. Luminate is here to stand by those tackling these critical challenges. Through investment and support, and by being an outspoken voice on the issues critical to change, we’re helping courageous organisations act to protect people’s rights and strengthen society. Our organisation is new, but we already have deep experience addressing these issues. For more than 10 years we were the Governance & Citizen Engagement initiative at Omidyar Network, the philanthropic investment firm set up by Pierre Omidyar, the founder of eBay. Over that time, we grew as a global team and supported more than 200 organisations in 18 countries with more than $300 million of grants and investments. We’ve now taken the experience and capabilities developed over that decade and shaped them into an organisation designed for the next-generation of opportunities and challenges. We will be even more responsive to the fast-evolving needs of investees. We will continue to be funded by our Chair, Pierre Omidyar, and remain part of The Omidyar Group. The past decade has delivered significant prosperity and social progress in many countries. Global poverty levels are down and global life expectancy is up. On average, hate crimes have fallen while progressive attitudes to equality have gained ground. 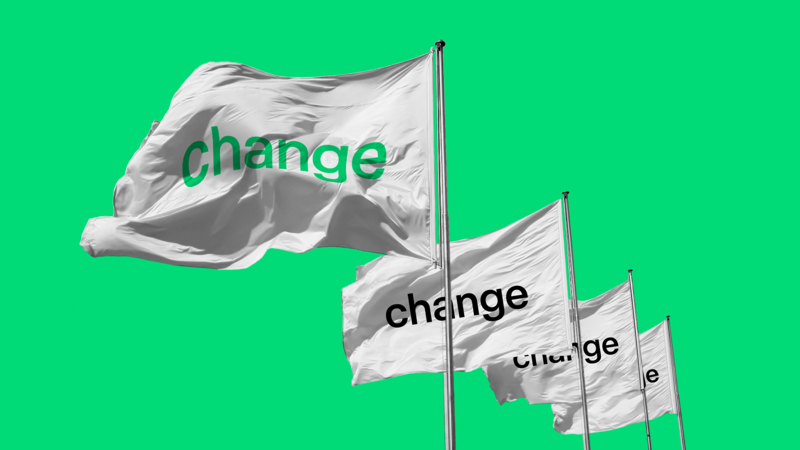 These long-term trends paint a positive picture, but the last few years have brought political change and upheaval around the world, and a connected set of issues now threatens this social progress. A brief scan of recent headlines gives a clear sense of what societies now face: the alleged murder of another journalist, this time the renowned Saudi writer Jamal Khashoggi; evidence of a systematic Facebook campaign by the Myanmar military that fueled the Rohingya genocide; and more from South Africa’s judicial corruption enquiry into the multi-billion dollar public sector fraud scandal centered on former president Jacob Zuma and the Gupta family. This is just a snapshot of recent abuses of power. Wherever you look, civic spaces are under attack, both on and offline, with freedoms of expression, assembly, and privacy withdrawn. It is increasingly common to see those with power weaponising technology and data to enhance their positions and diminish opposition, and misusing personal data for political or financial ends. Democracies are now on alert to the exploitation of social media by those wishing to subvert free elections, but few (if any) seem able to respond effectively to the paradigm shift in technology and culture which are shaping politics. In parallel, the dangers of rapid advances in technology, especially in relation to artificial intelligence and algorithmic decision-making, are becoming clearer and more acute. In media, the spread of misinformation, the devaluation of truth, and the growth of echo chambers are entrenching views and polarising communities. From Trump in the US to Duterte in the Philippines and now Bolsonaro in Brazil, populist politicians are exploiting this, and we’re seeing a troubling rise in authoritarian governments and nativist perspectives. At the same time, many independent news organisations and fact-checkers are under severe pressure from the state and vested interests. The Committee to Protect Journalists estimates that, in 2018 alone, 27 journalists have been murdered as a result of their work. We must not allow these trends to become norms. As Luminate, our goals and the core of our work remain consistent, but we’re now expanding the breadth and depth of this activity across our four impact areas. In Civic Empowerment, we’re continuing our support for civic technology. We’re also looking at wider solutions that give people greater influence over the decisions affecting their lives and better access to services. We’re giving particular emphasis to support for marginalised, underserved, and threatened communities. In Data & Digital Rights, we’re building on our work around data governance to investigate and help shape the way people’s rights are upheld. As part of this, we’re looking closely at curbing online disinformation, and at the governance, transparency and ethics of artificial intelligence. In Financial Transparency, we’re demanding greater transparency, accountability, and participation in the use of public funds, and we’re sharpening our focus on tackling corruption. In Independent Media, we’re continuing to increase our work defending a vibrant press that uncovers truth and holds power to account. Alongside a renewed focus on press freedom, we’re developing new, sustainable funding options that enable media to break free from current revenue models, including overreliance on advertising. We’ve long been strong advocates for change across our impact areas, but you will hear our voice coming through with even greater clarity and resonance. We want to inspire better understanding and debate around the areas that matter most to us, and we’ll take strong public positions wherever and whenever that’s required. We’ll be raising issues and points of view that are critical to change but not yet well understood. We’ll also be supporting others who are advocating for the policies and actions needed to drive progress. In fast-changing times a one-size-fits-all approach to philanthropy is ineffective. We need to help people on the frontline of change get the right support at the right time in the right way, so our approach is designed to be highly responsive to investees’ specific needs. That means our team being able to deploy a range of both non-profit and for-profit investment models, while also supporting and advising investees on activities such as legal, marketing, and tech. The journey to becoming Luminate required that we reflect deeply on our first 10 years. Our thoughts kept returning to one exceptional group of people. When we looked at those we’ve worked with, we saw a collection of driven, talented, and determined individuals and teams. Many of our investees have also shown truly remarkable bravery under pressure. They inspire us. So, today marks a very important moment for our partners and the Luminate team. The challenges ahead can seem daunting, but we see huge scope to enhance our impact together. You’ll see our team work to ensure people have the opportunity to participate in and influence the issues affecting their societies; to make government, corporations, media, and those in positions of power more responsive and more accountable. That’s our mission. We must think about how to take more preventative, rather than reactive, measures to ensure that the cost of attacking journalists is higher. Finance Uncovered delivers intensive and focused training courses that equip journalists with the fundamental skills, tools, and confidence to start investigating corruption, money laundering, and tax abuse. Institute for Development of Freedom of Information (IDFI) develops projects dealing with all aspects of transparency and accountability in Georgia. We're proud to announce the launch of Velocidad, a first-of-its-kind Latin American independent media accelerator which will be led by ICFJ and SembraMedia and provide over $1.5M in resources to media outlets in the region. We work to empower people and improve lives. Ensuring people have the opportunity to participate in and influence the issues affecting their societies. Making government, corporations, media, and those in positions of power more responsive and more accountable. © 2019 Luminate. All rights reserved. We recognise your right to privacy. Therefore, we limit the collection of personal data and strive to work only with organisations that do the same. We will never use your data for any other reason than the one you provided it for – and we will never pass it on without your permission.